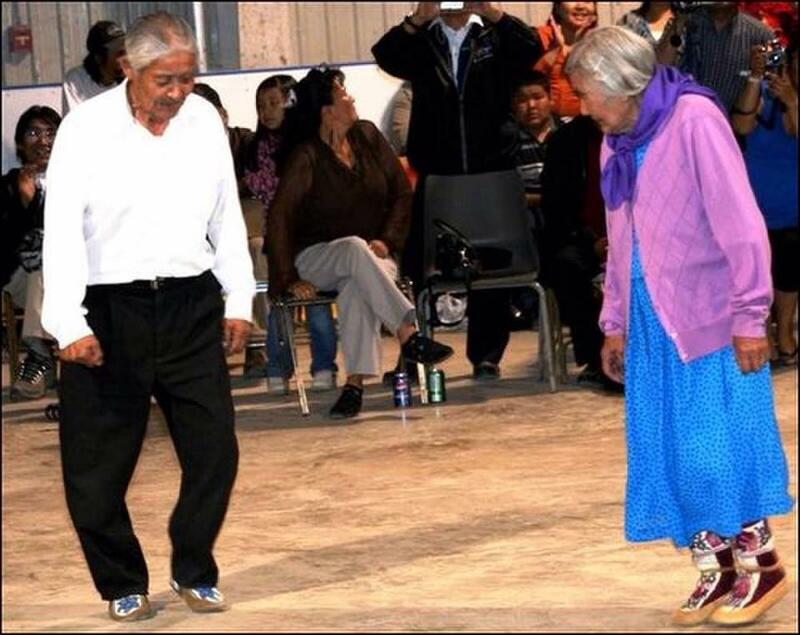 A couple from Fort McPherson, N.W.T., celebrated 77 years together. 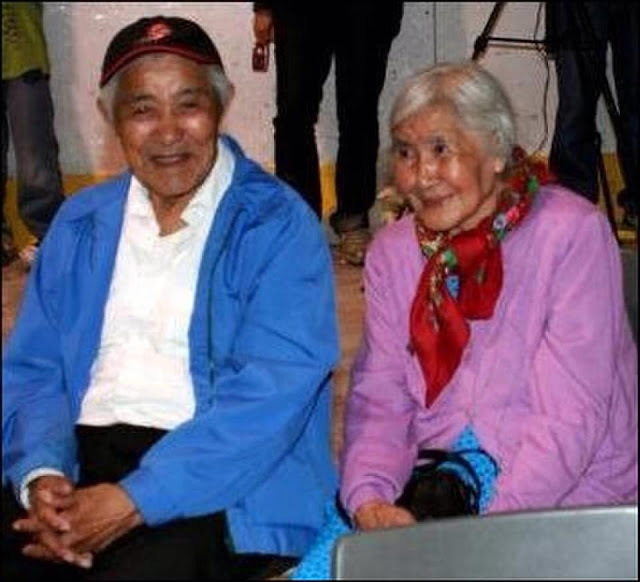 Peter and Mary Kay were married on 1939, in a ceremony with two other couples. "It was actually his sister who told him he should marry my mom, because he would be taken care of for the rest of his life," says their daughter Dianne Baxter. "My dad says when he saw her he was like, 'Yeah, OK.'"
He went to his father, who talked to Mary's father. Peter is 100 and Mary is 96. They still live in their own home and their children take turns caring for them. Mary still cooks for neighbouring elders when she can. "They work very well together and they both have the same mannerisms," says Baxter. "They had rules in the household and we respected the rules. They always told us you have to try to help people in the community because that's the way my dad was raised and the way my mom was raised, is that whatever you had, you shared." Baxter says the family continues the tradition. 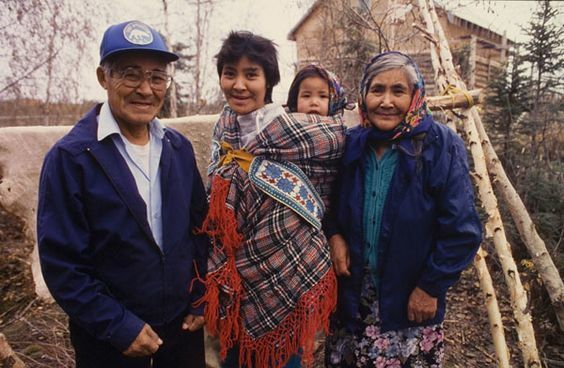 "Whenever we go out berry-picking, we always use our berries to help other families in times of need, whether it's single mothers who can't get out, or when someone passes away in the Gwich'in settlement area, we make contributions toward the feast with the traditional foods that we harvest off of the land." High waters closed the ferry last weekend, keeping some family members from attending the anniversary potluck. But rain on the morning of the anniversary celebration was appropriate, says Baxter, as her mother recalls it rained the morning of her wedding day but cleared up in the evening. "She always said 'Rain is a good thing; it's showers of blessings.'" 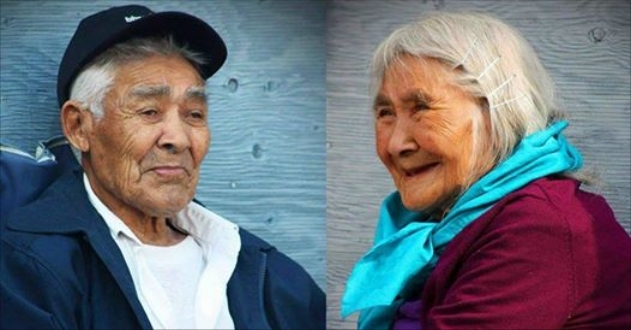 Responses to "Aboriginal couple (aged 100 and 96) celebrates 77th wedding anniversary"
Happy anniversary to a couple that shows the joy that comes from simple generous lives. 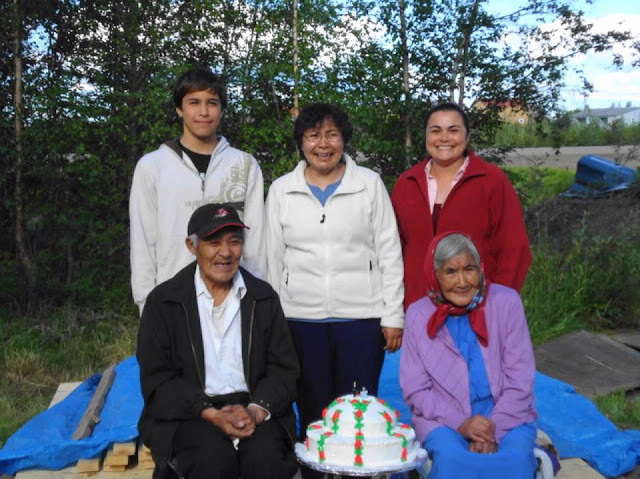 My parents Bud and Marg Elford along with my brother and I lived in Ft. McPherson from 1967-1970. I think Peter and Mary Kay would have known them. I treasure my childhood memories of growing up those years in this wonderful community of beautiful people! I was so happy to see this post! A very happy anniversary to you, Peter and Mary!!! Thank you for being an example of what it means to love and commit to another person for your whole life!